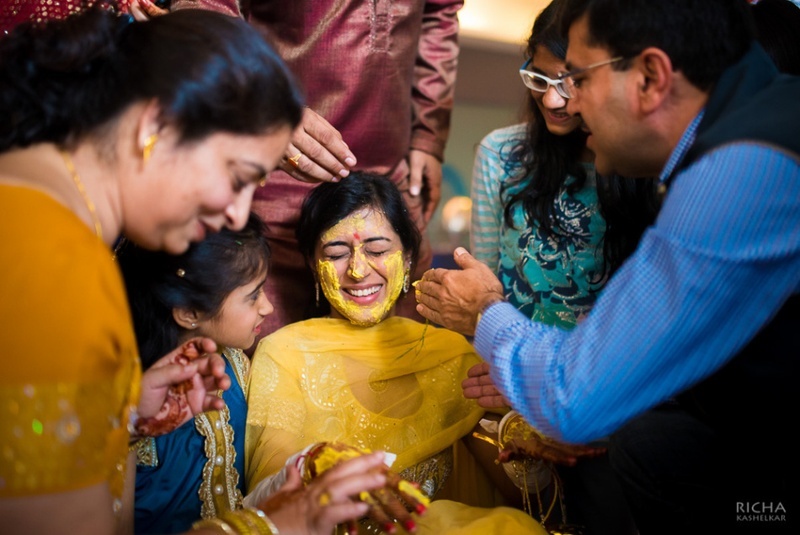 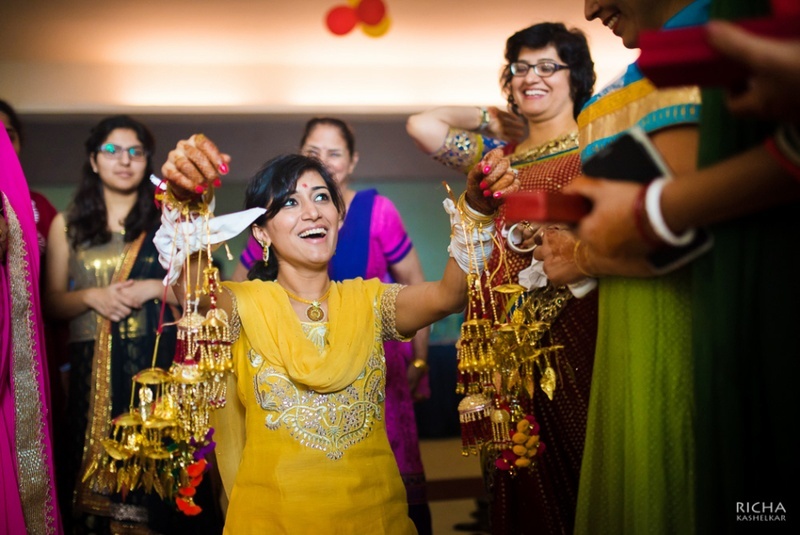 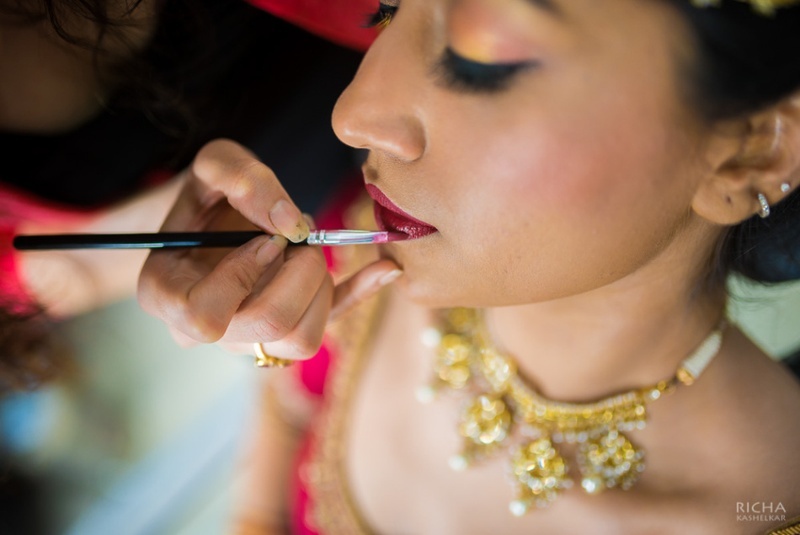 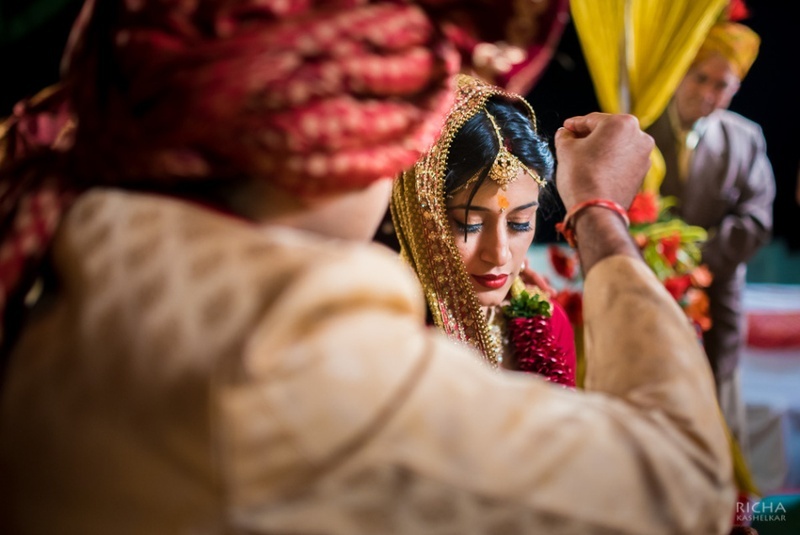 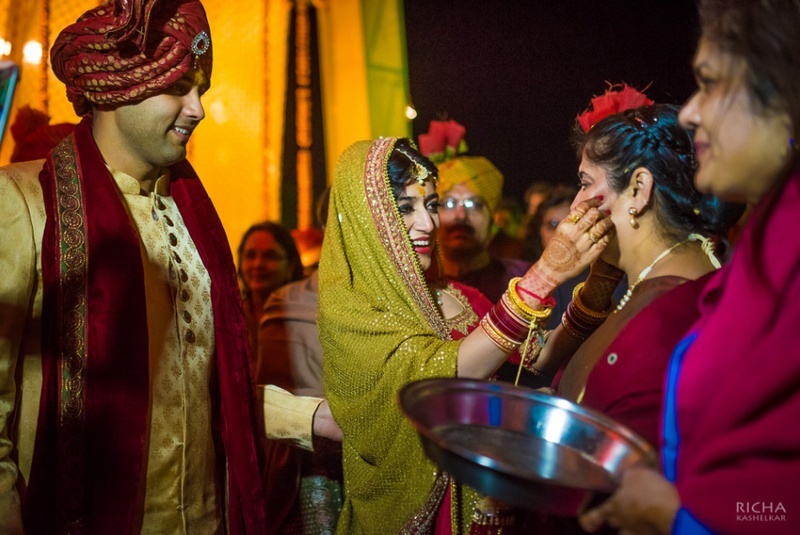 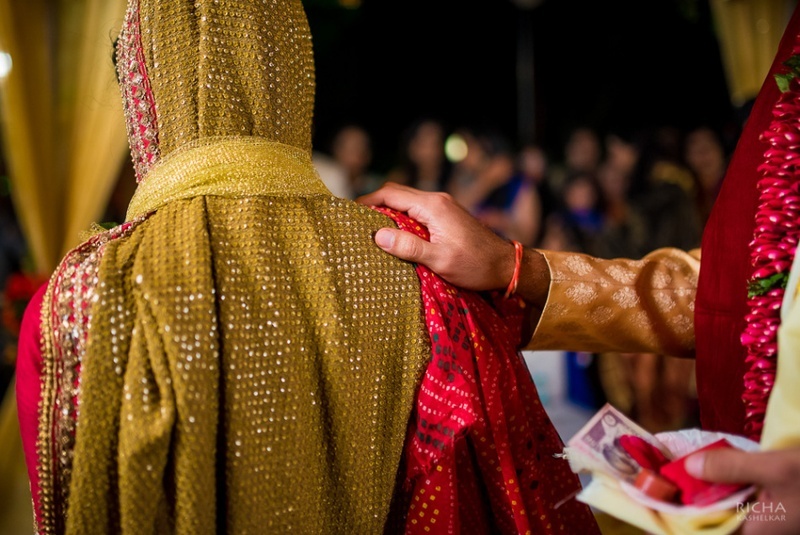 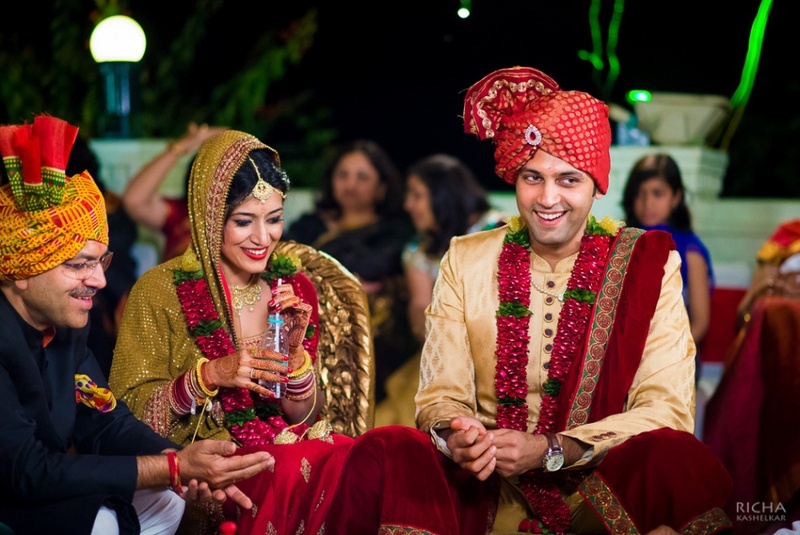 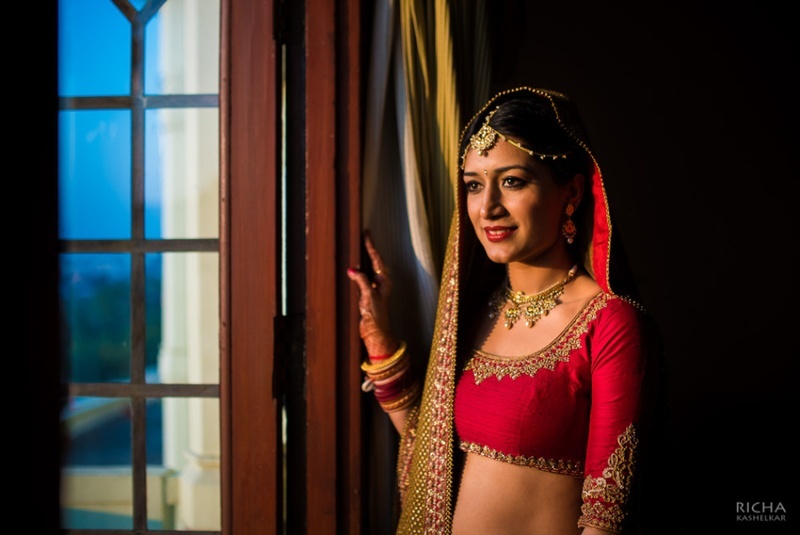 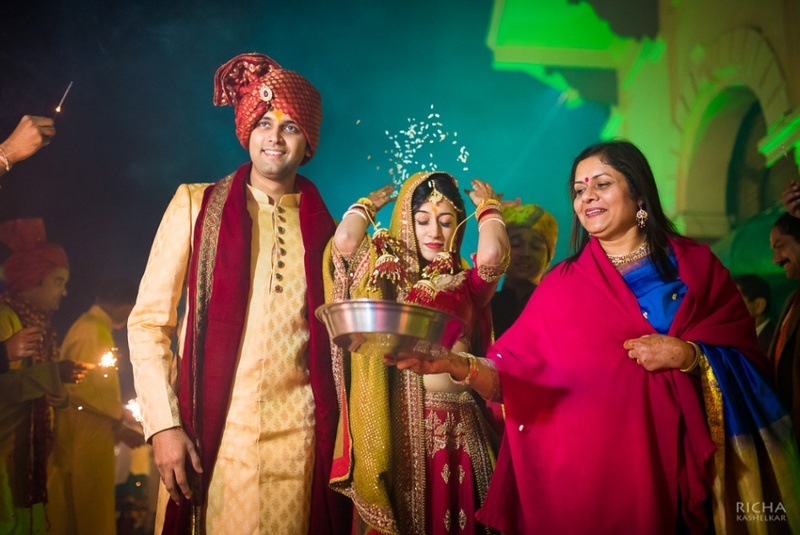 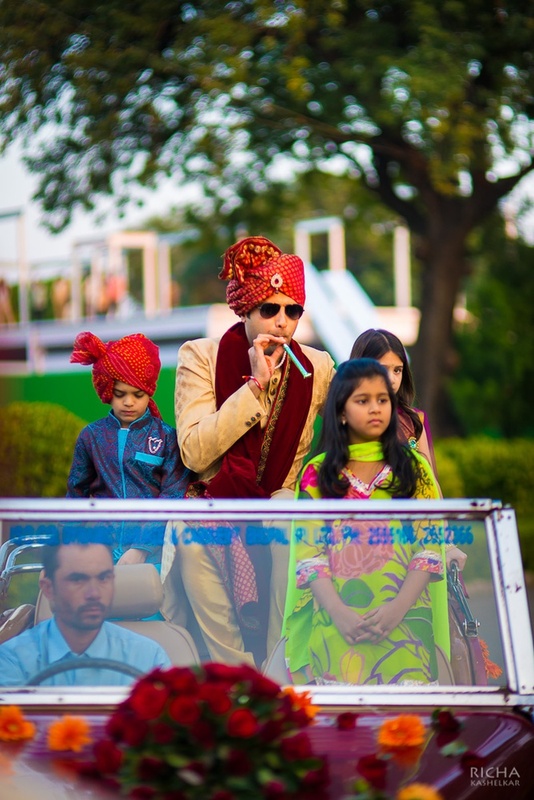 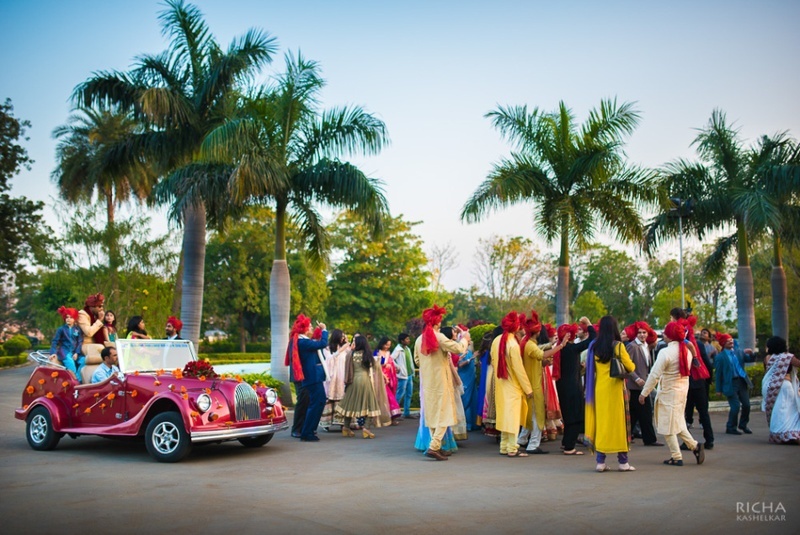 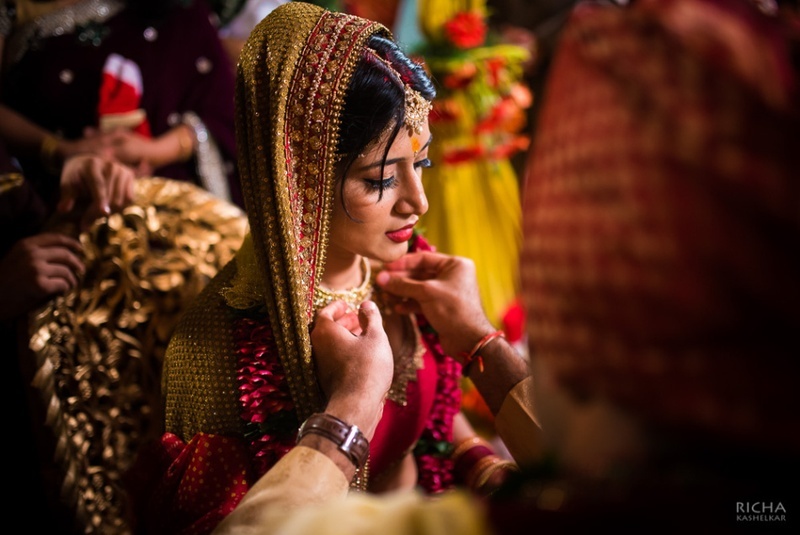 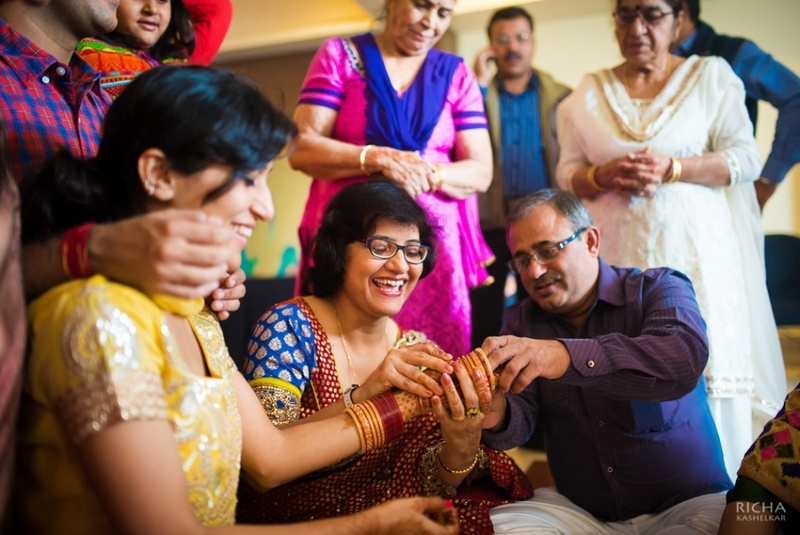 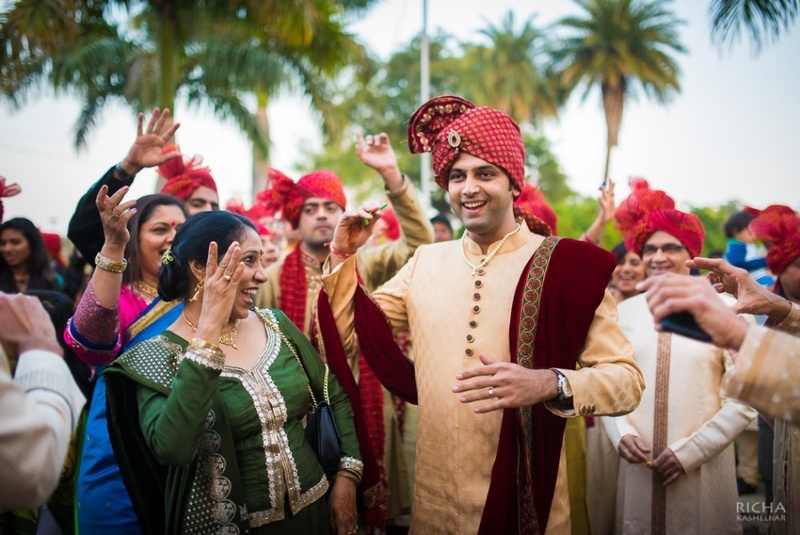 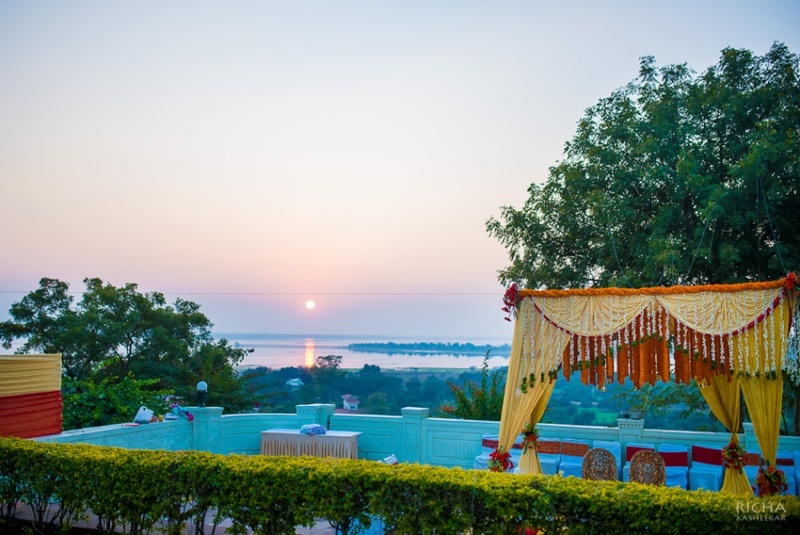 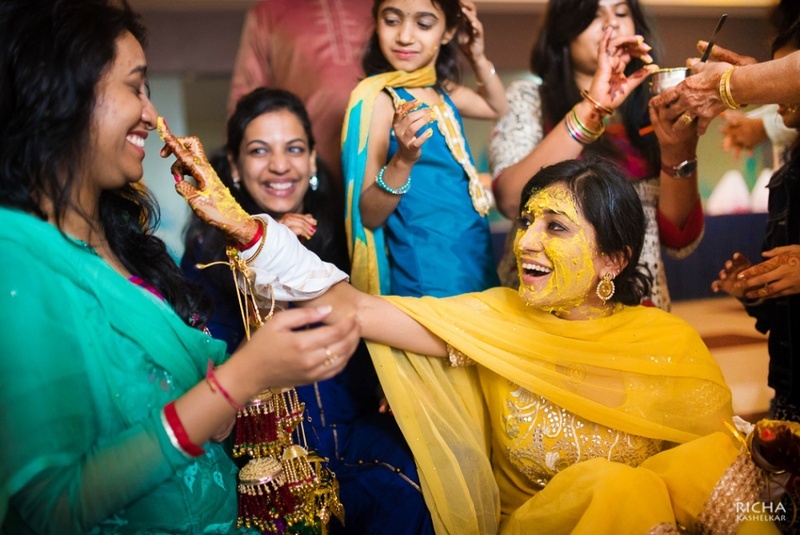 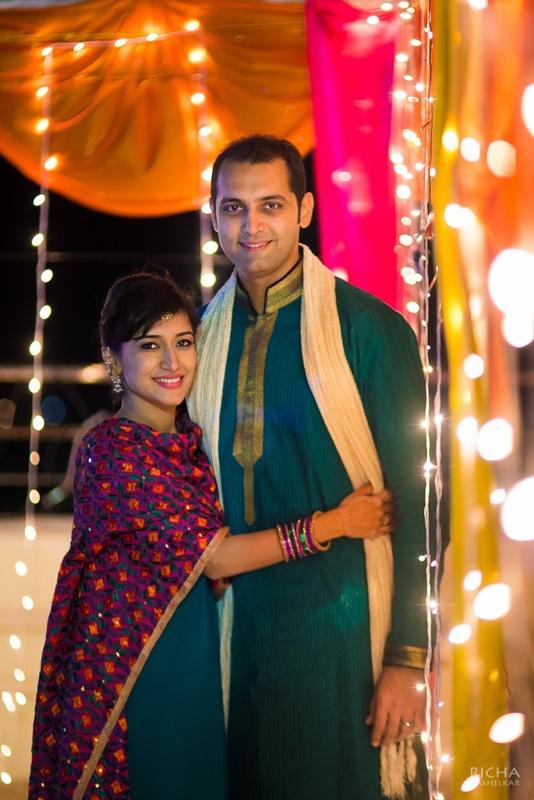 An intimate Bhopal wedding whose simplicity and gorgeiousness completely blew us away. 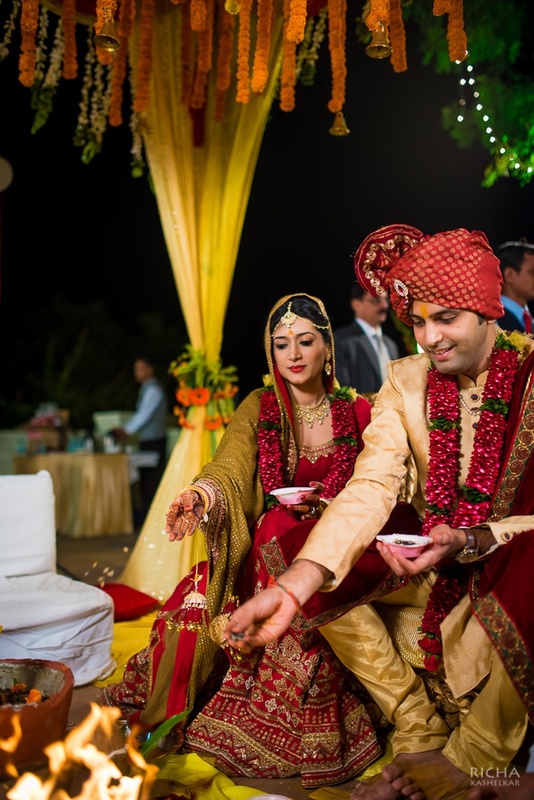 Eshita and Rutvan had a marriage true to its meaning. 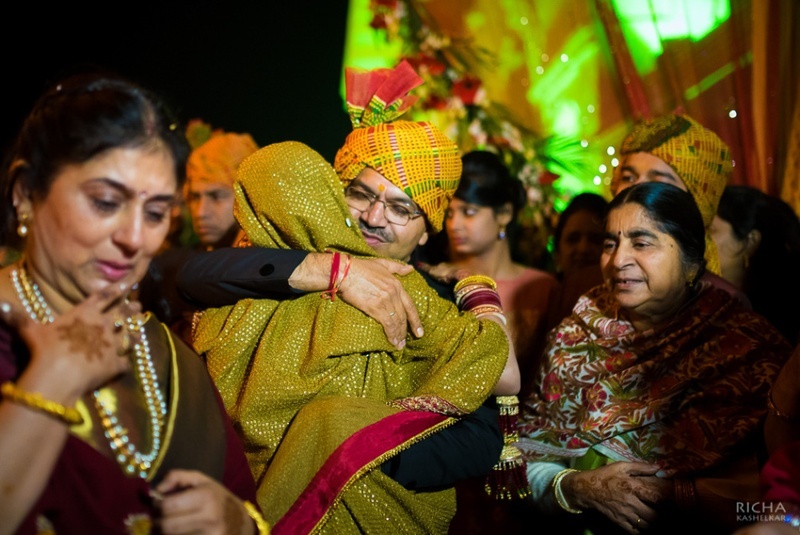 It was a chilly December wedding and the most vivid memory I have taken back with me is how absolutely cool the two families were with each other. 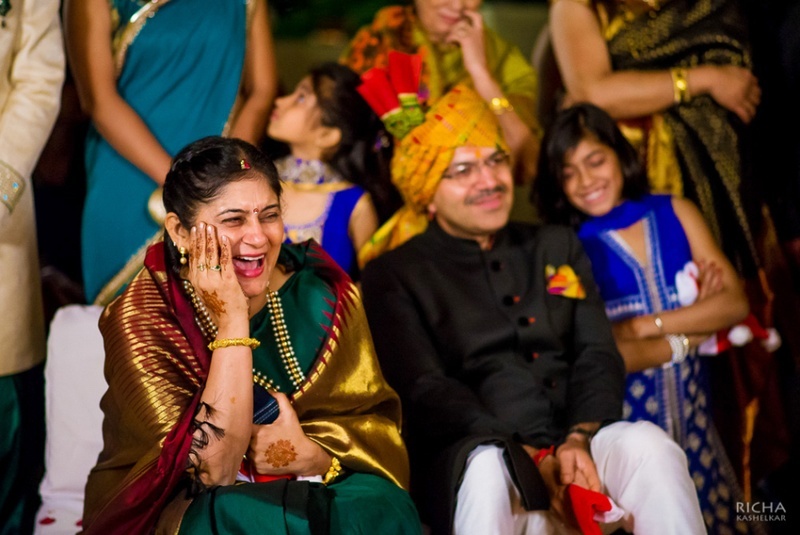 One couldn’t distinguish his side from hers, the Surat guys from the Bhopal guys, and the idealist in me went aww! 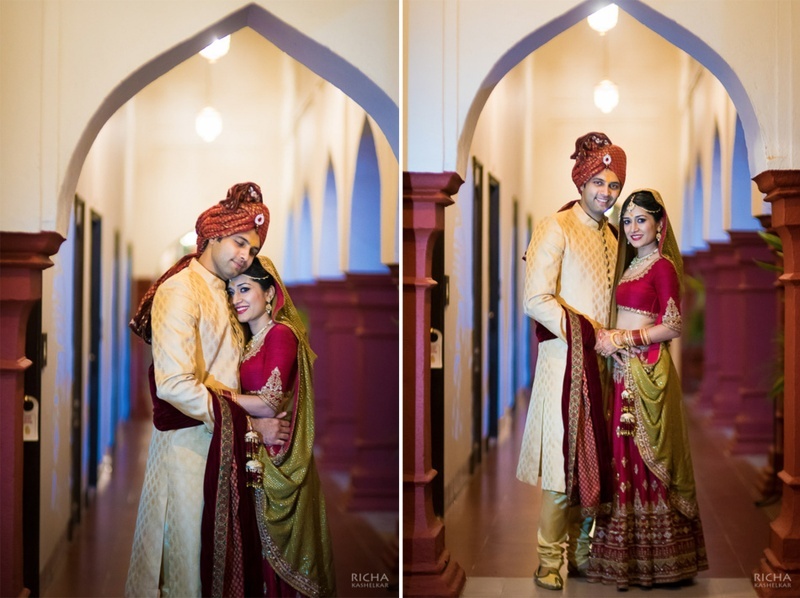 – Richa Kashelkar, their wedding photographer. 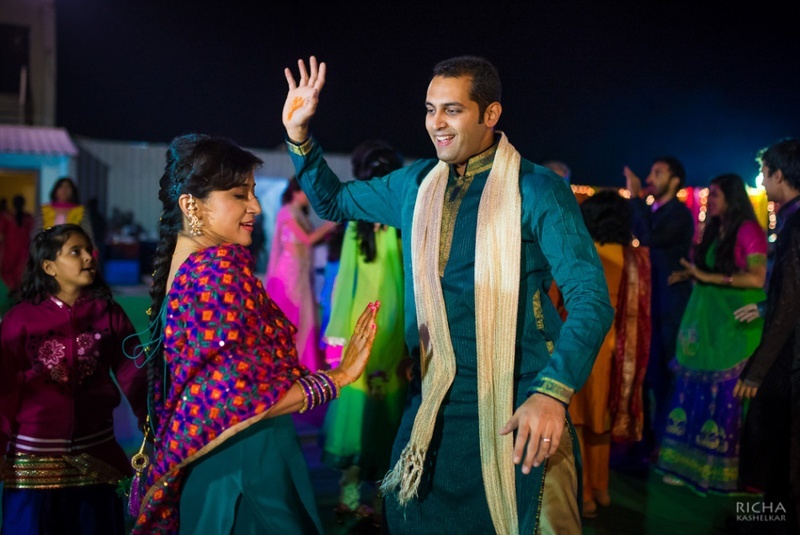 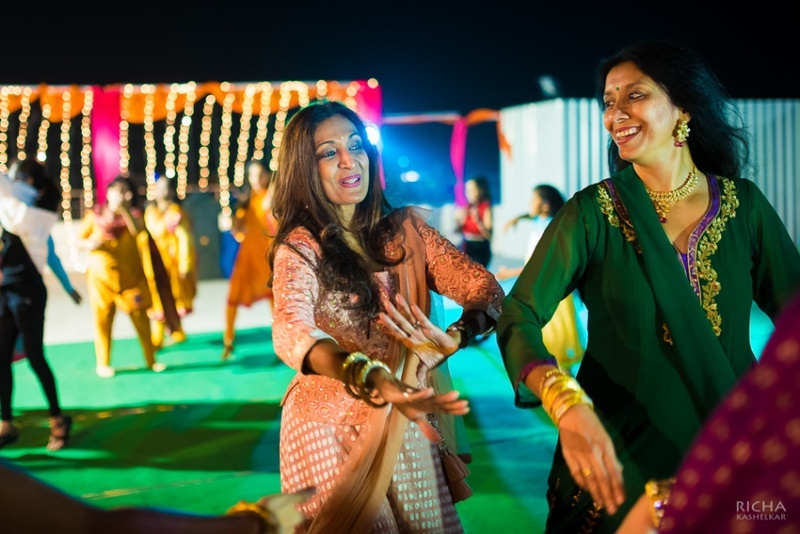 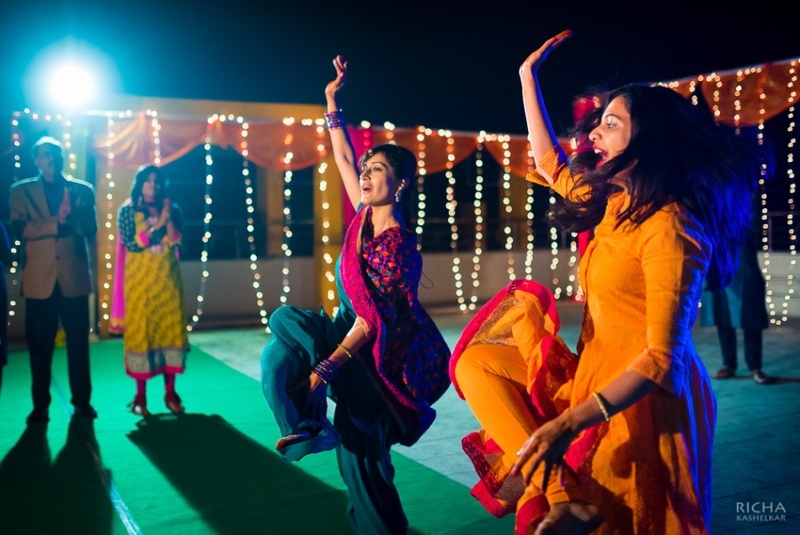 Celebrations began with an intimate and informal Mehendi & Sangeet on the terrace with Eshita and Rutvan’s enthusiastic family putting up Bollywood-worthy dance performances. 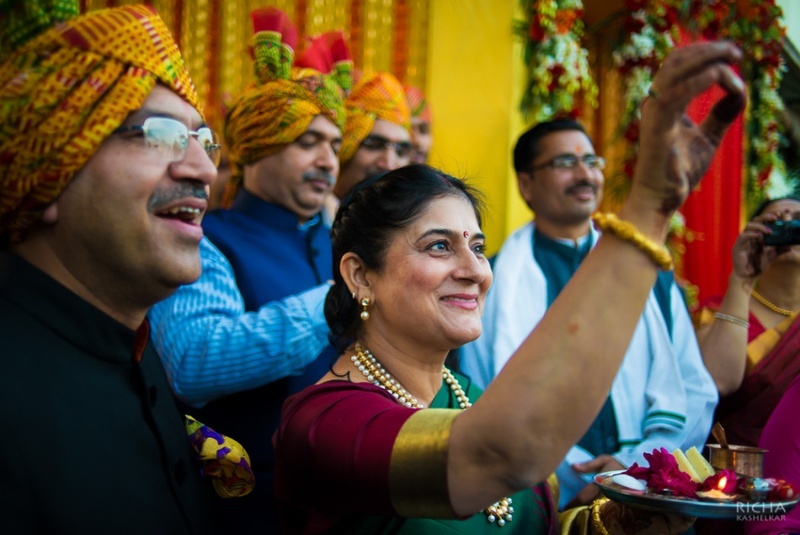 The men of both the families made sure the ladies’ glasses were continuously refilled while they were getting mehndi done – now isn’t that the way to do it, boys? 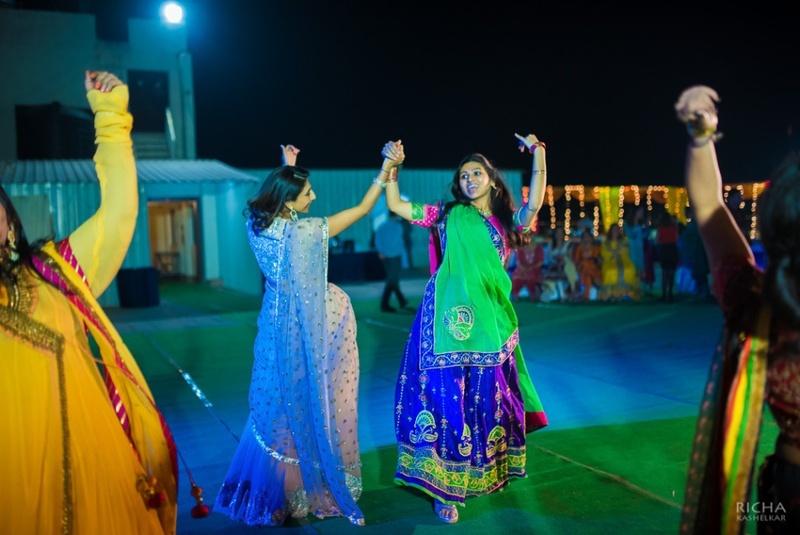 By the end of this fun, mehndi + sangeet night the Ladke wale from Surat took over and everyone was garba dancing all night long! 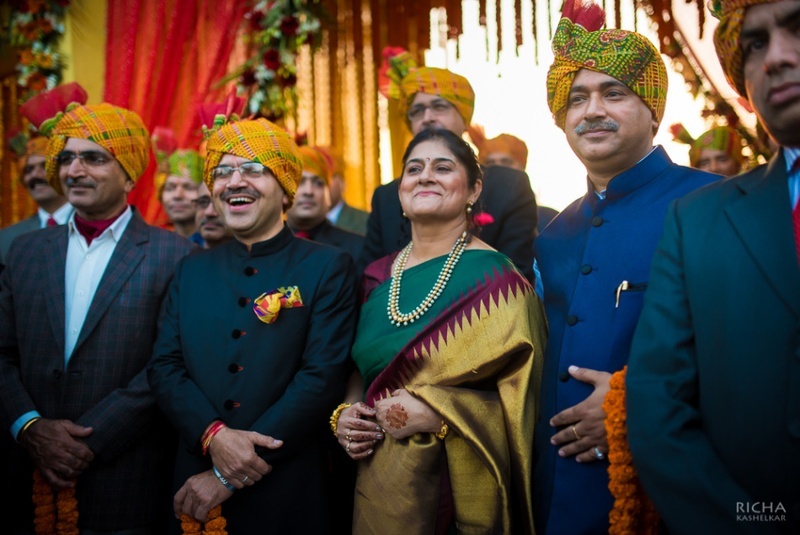 Their wedding was held at the opulent Noor Sabah Mahal in Bhopal. 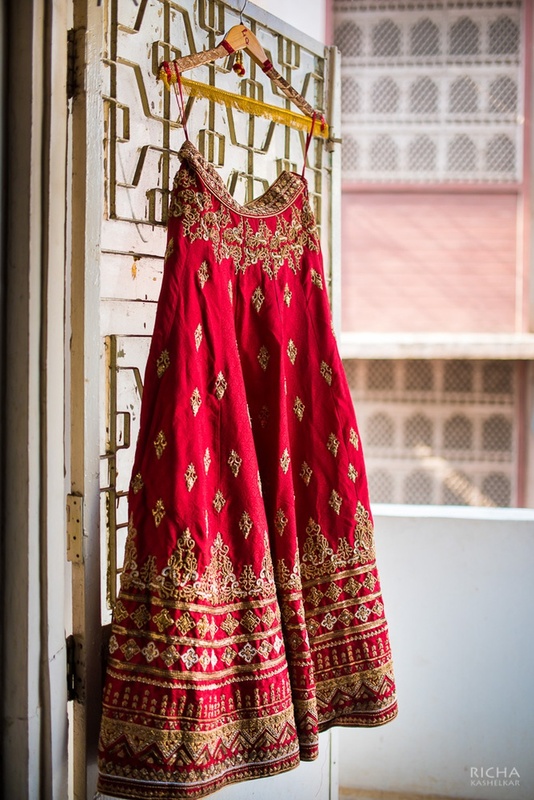 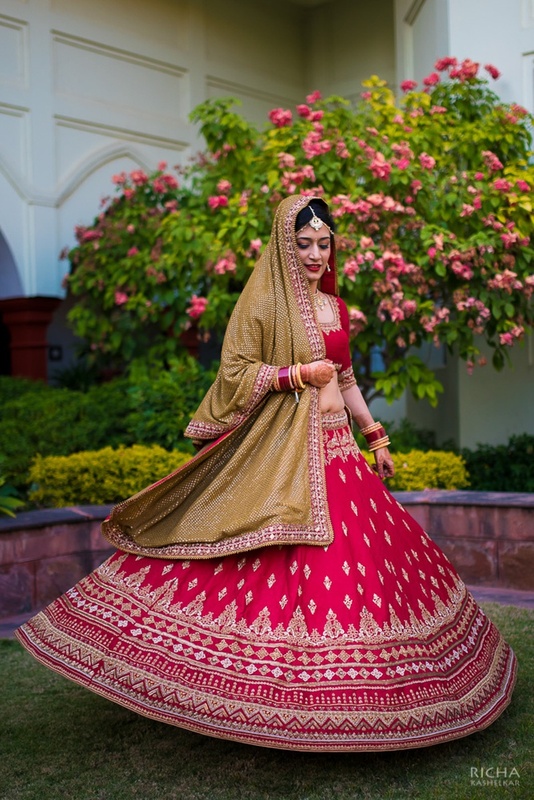 The moment we set our eyes on Eshita’s red flared wedding lehenga embellished with zari motifs and buttis, we were in love! 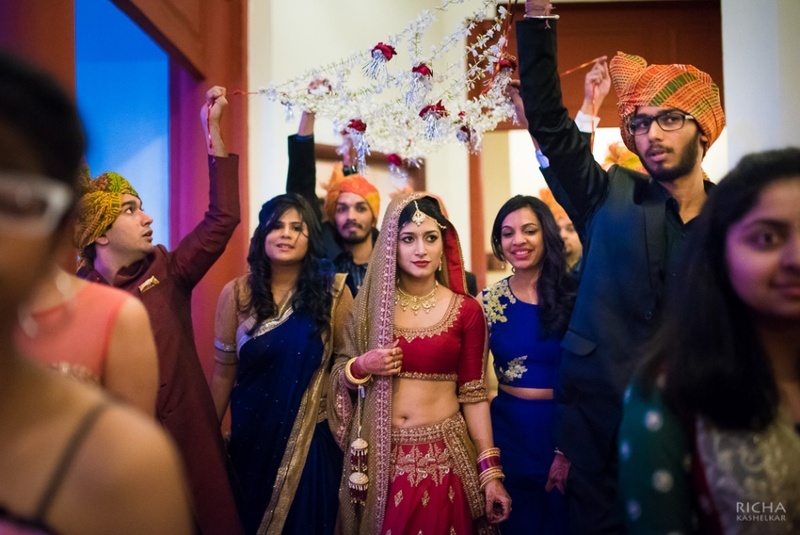 That gorgeous, gorgeous lehenga styled with a shimmery mehndi green dupatta was perfection spelled out in clothes. 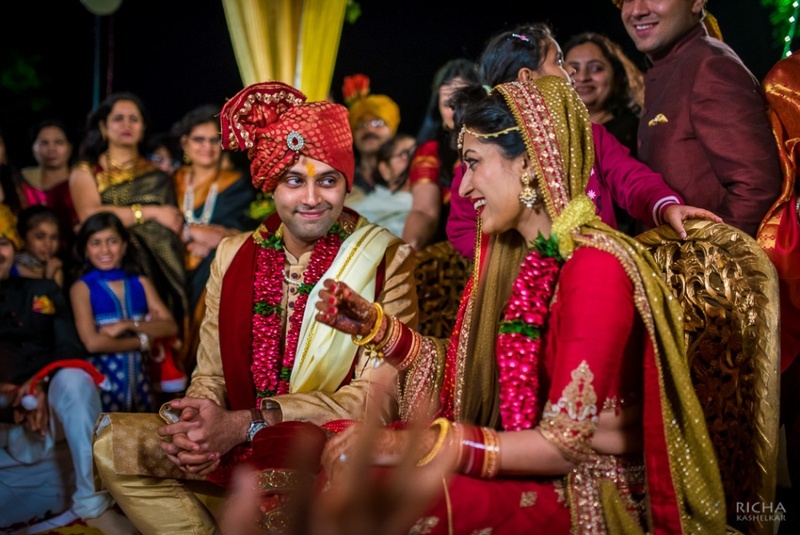 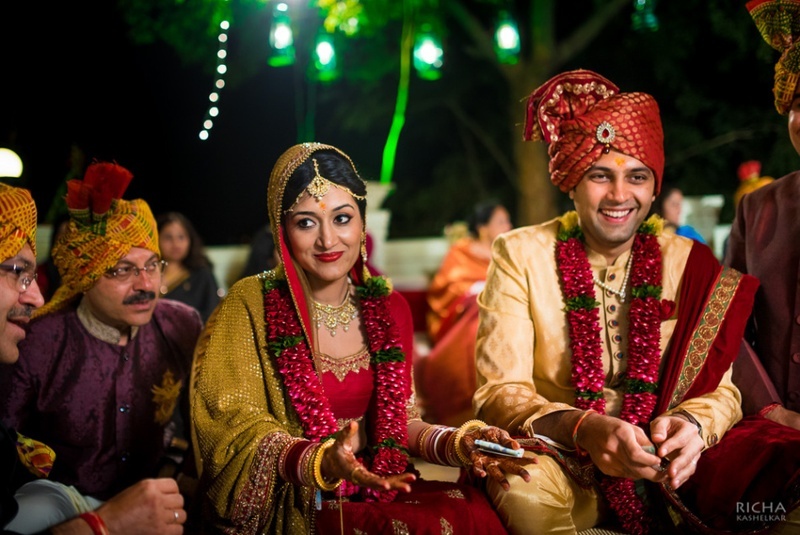 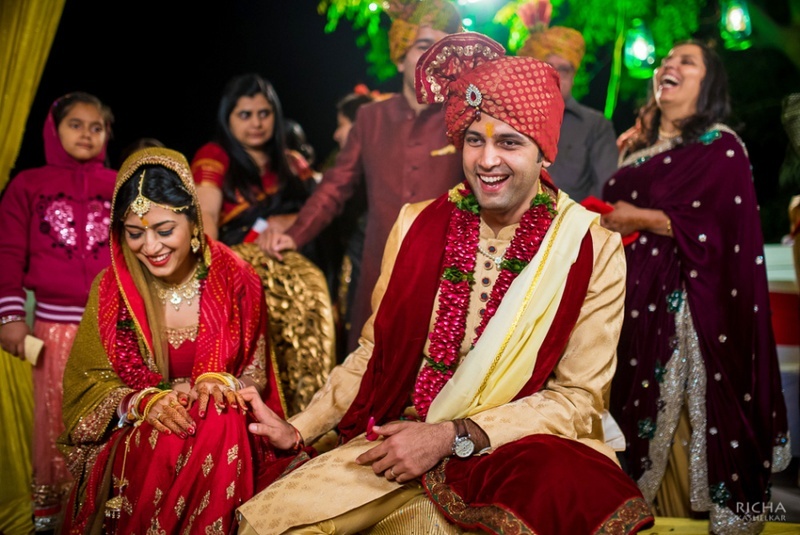 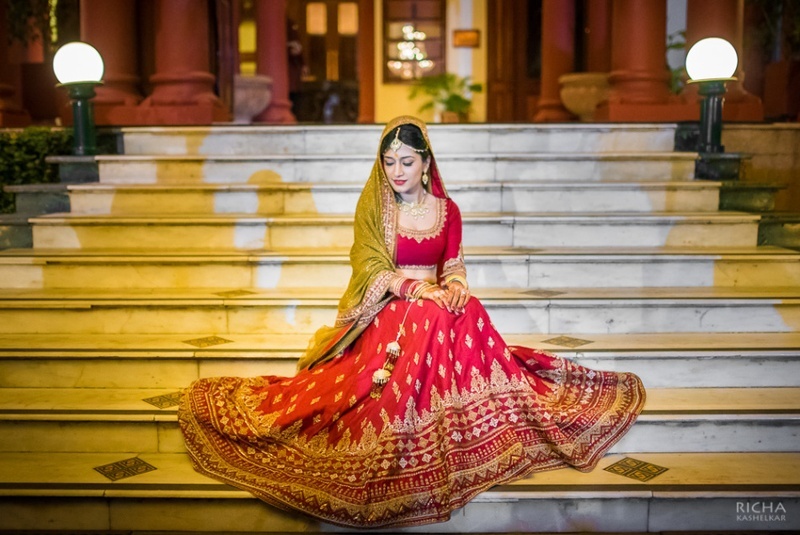 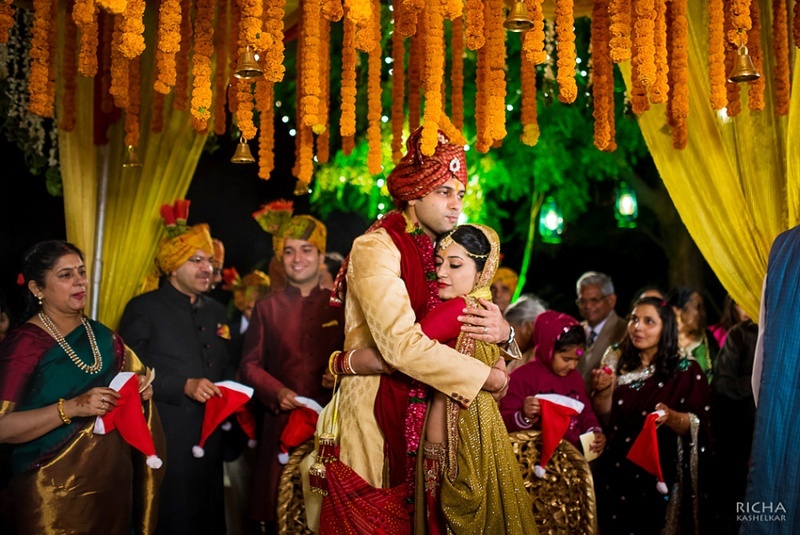 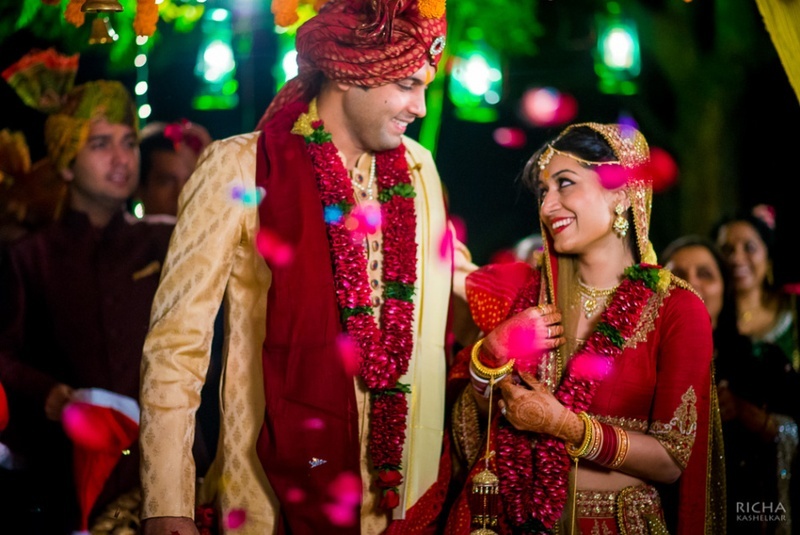 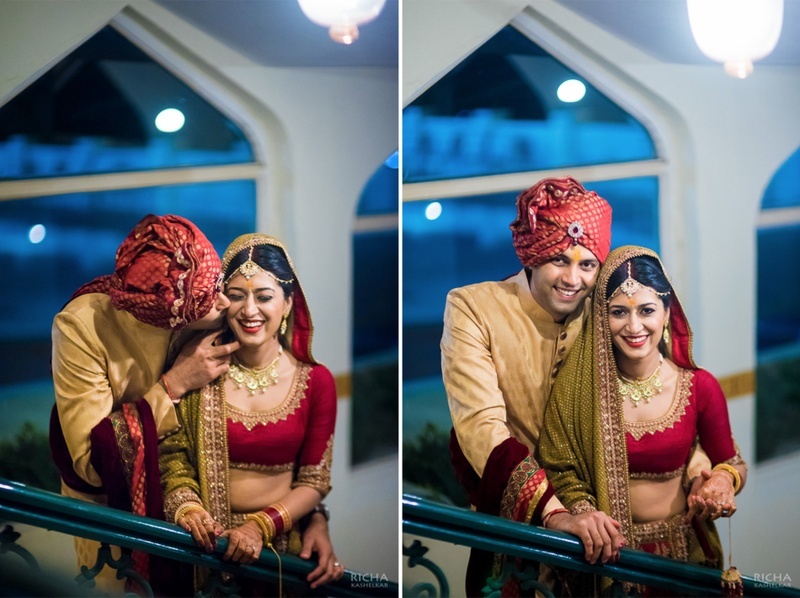 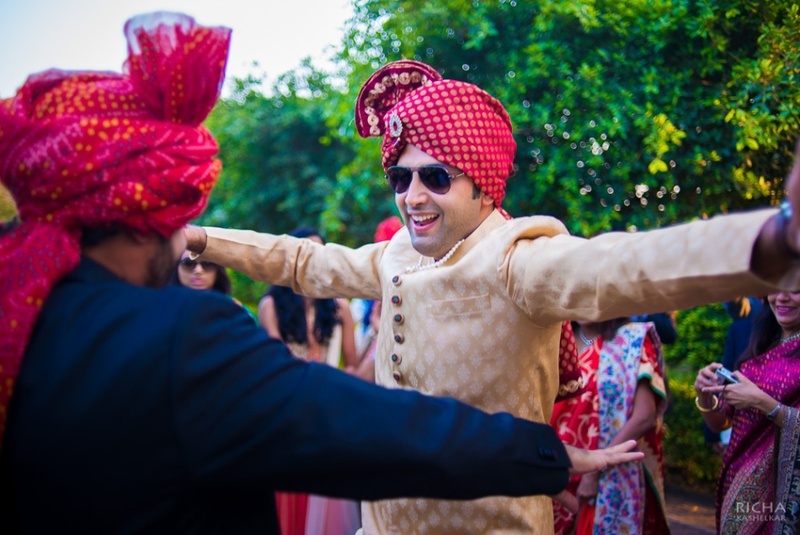 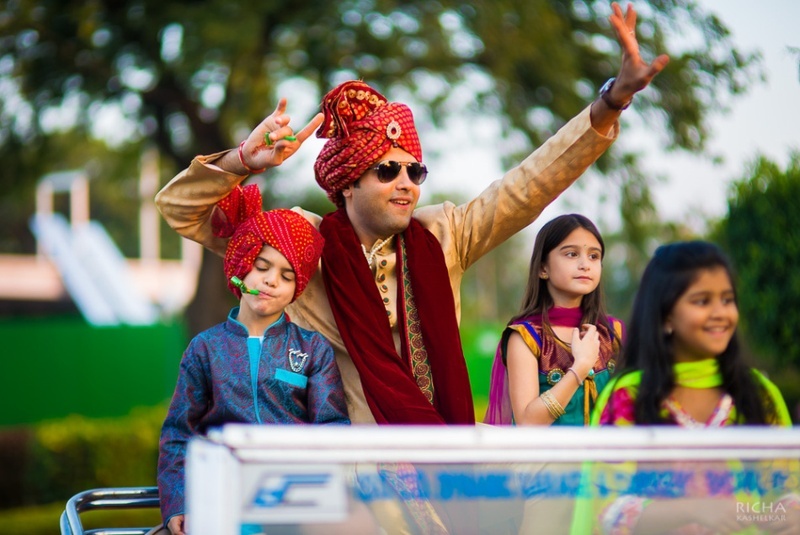 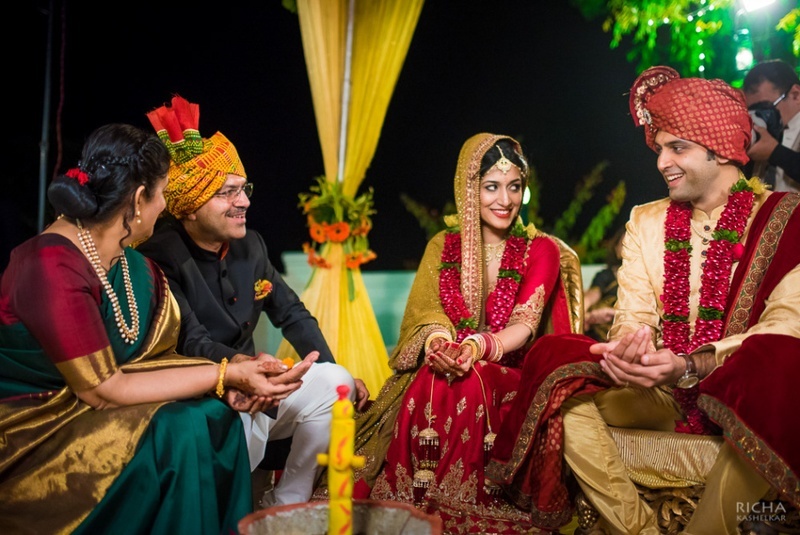 Richa Kashelkar shot this beautiful winter wedding flawlessly.